Its that time of year where soups are exactly what I want to keep me warm and cozy on those cold winter nights. Of course by cold winter night I mean 4o degrees! This soup is so versatile, easy and delish! Oh and the best part? Its all in ONE pot! I am all about that! In a large pot sprayed with non-stick spray, cook the turkey, onion, garlic, and zucchini over medium to high heat until turkey is cooked through. 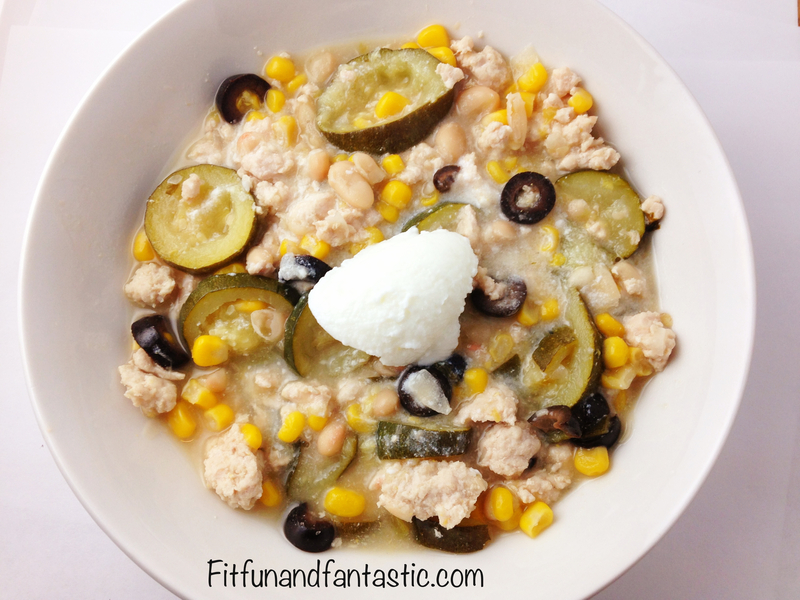 Then mix in the cannellini beans with the liquid, chicken broth, olives, chilies, and corn. Bring mixture to a boil and then reduce heat to medium. Cover and allow it to cook for approximately 10- 15 minutes, stirring occasionally. Once ready to serve top it with greek yogurt! This is also great topped with cheese! 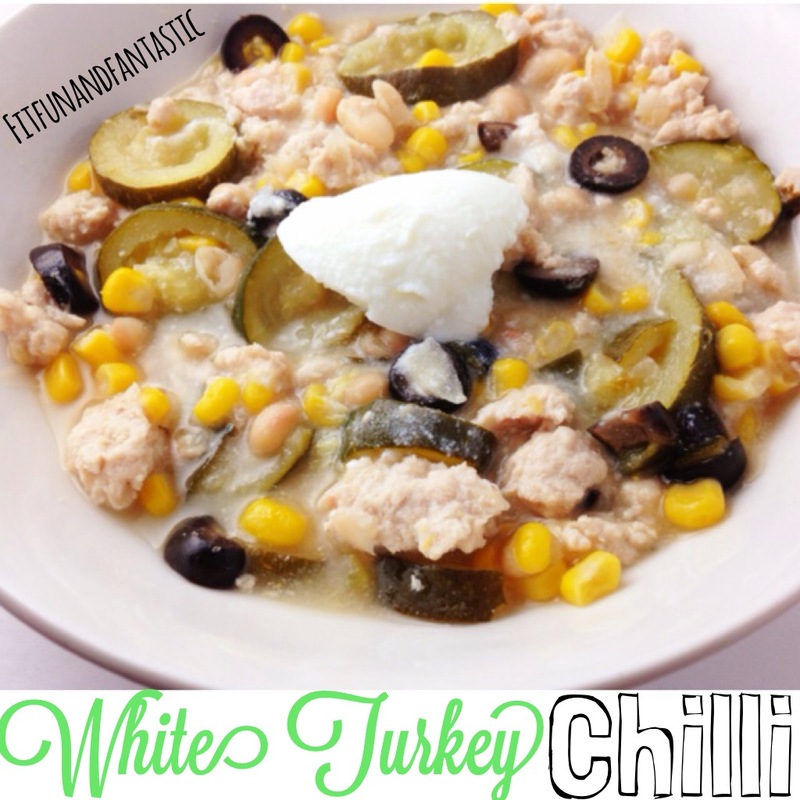 0 Responses to "White Turkey Chili"
Great recipe, but you did not say when you added the minced garlic. I am assuming that it is sautéed with the onions & tirkey… right? Thanls! Love all the recipes! This recipe sounds delicious will definitely give it a try this week. Awesome! I hope you love it as much as my family and I do!